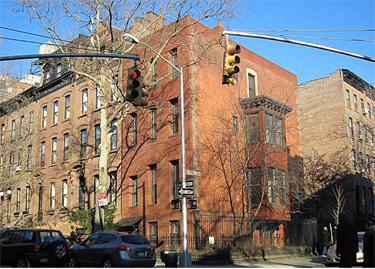 This restoration earned a 2014 Lucy G. Moses Landmarks Conservancy Award. The original window and door configuration was re-established during a 100% restoration of elements removed during a 1940s renovations. The restored details also match historic features at the stoop, windows, doors, cornice, chimney and wood-clad bay. 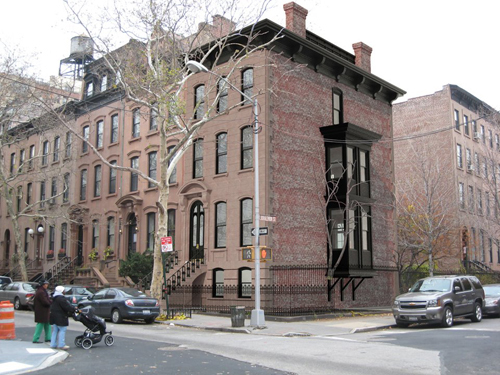 The brownstone façade was meticulously applied after a custom system of 240 stainless steel rods was installed to pin back the remaining historic fabric.